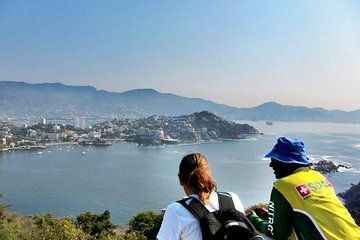 Trek omkring Roqueta Island, der ligger 30 minutter fra Acapulco, på denne guidede vandretur. Lær om dyrelivet og plantelivet fra din lokale indfødte guide under din afslappede tur. Stop ved forskellige sightseeing punkter undervejs, samt Palmitas Beach. Plus, fange ekspansive visninger af Acapulco Bay gennem vandretur. A great way to experience the island of Roqueta. The views from various points around the island were amazing. The path way around the island was in fairly good shape, you do need to be prepared to climb a lot of stairs as you head toward the highest point of the island but it was well worth the view.